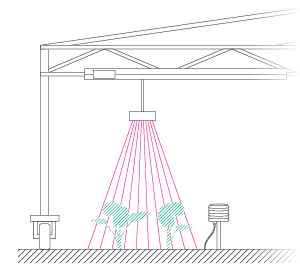 DroughtSpotter is a fully automated gravimetric platform that was designed to assess the transpiration dynamics of plants with great precision. The integrated irrigation units allow precise and reproducible water application for drought stress or related experiments requiring accurate control of water volume (+- 1g irrigation precision). 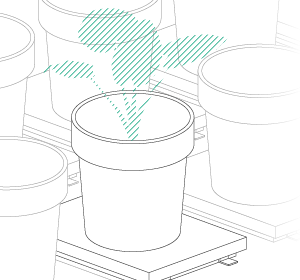 DroughtSpotter can easily be adjusted to accommodate various pot sizes and pot designs. Watering protocols or drought scenarios can quickly and easily be customized via the DroughtSpotter software web interface. The designed irrigation events maintain the target weight of each individual plant pot according to the researchers’ experimental protocol and provide plant transpiration rates at high temporal resolution calculated by the loss of weight. Combined with PlantEye’s growth measurements, the weight increase due to plant biomass accumulation can also be considered. The beauty of using gravimetric measurements to assess transpiration rates for drought research lies in the simplicity of the method and its ability to provide you with incorruptible and resilient data. Although simple, it is nonetheless a very labor intensive protocol! Spurred into action by this challenge, we decided to engineer a solution that was simple but professional and specially made for high-throughput phenotyping. Why professional? Homemade solutions have provided good results and have been proven to be useful for drought research and breeding, but for those who want to focus less on technical development and more on research, DroughtSpotter is a better tool. Design your drought scenarios with our software, position your plants on the system, and all of your measurements and irrigations will be performed fully automated. Research on drought stress has strongly increased over the last decade, as water shortage is one of the key limiting factors in global crop production. Many breeding and scientific projects aim to deliver knowledge, traits and chemical agents that will help to provide better resistance to drought stress. However, the term “drought stress” is broadly defined and covers many different ways that plants might be affected. For instance, drought stress differs depending upon the site of the action, its strength and its dynamics, which may be integrated by plants and might also trigger different coping mechanisms in plants for dealing with the stress. This fact has to be considered in experimental designs and breeding programs, and the mode of stress has to be controlled and reproducible. 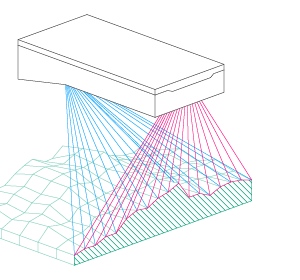 We think there is a little more to deliver in phenotyping than just technology. 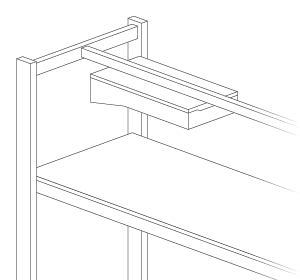 All our products are designed with the intent to deliver meaningful features and results to our clients. Nobody wants a black box! We all know how difficult or inconvenient it can be to access the data of technical devices, especially when proprietary protocols are used. DroughtSpotter is an open system that allows users to access RAW data or analyzed parameters at any level. Direct access to the embedded DroughtSpotter computer can be set up with a public SSH protocol in order to download RAW data or calculated transpiration rates. 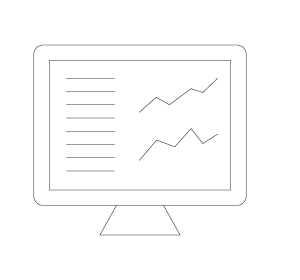 In addition, the data can be stored in our HortControl database and accessed through a web interface from every computer or tablet in your network. DroughtSpotter was designed to the IP65 standard to work in controlled environments and in greenhouses. 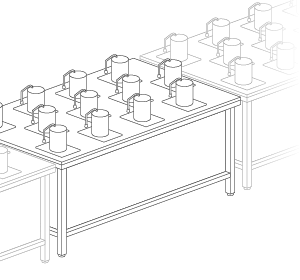 The system is built with separate tables, so-called units, that can accommodate up to 24 plants per unit. Central valves enable the user to shut down water supplies for maintenance or whenever experiments are not running. DroughtSpotter units have an integrated drainage system for preventing damage if and when the soil is overwatered. As a solid-state system without any moving parts, DroughtSpotter needs very little maintenance and is not susceptible to hardware failures. Depending on what you want to test, the pot size, or the number of plants per pot, the way you want to irrigate may vary strongly. DroughtSpotter offers different watering modes that allow the user to apply specific behavior to each pot. Besides holding a predefined target weight, plants can be given fixed dosages of water, or the conditions of a specific pot can be replicated for all plants as in the field. For all events, you can define whether watering is performed at defined times, or even dynamically, whenever a certain minimum threshold is reached. With tool-free adjustable irrigation tubes, pots sizes from 10 to 50 cm can easily be handled. DroughtSpotter can be built to accommodate pots from 1 kg to 50 kg large-scale containers that can be placed either on tables or directly on the ground. The system can also be used outdoors in combination with Phenospex FieldScan in order to measure the drought performance of various genotypes in field conditions. Everybody knows how difficult it is to control and reproduce a drydown, since even in climate chambers, environmental conditions are not homogenous. Border effects, different growth rates and many other factors influence the soil water content to which the plants react. DroughtSpotter takes care of this by tracking and controlling the water status of plants using its precision irrigation system, which can deliver water in 1 ml increments for each individual plant, and by monitoring environmental conditions, such as temperature and light intensity, that affect transpiration. Hence, even the transpiration rates of small plants can be controlled and tracked, thereby keeping variability low. DroughtSpotter is easily combined with data loggers from various suppliers to monitor climate conditions (T, RH, PAR, CO2) and manage data in one central place. Still, the best automation is not useful if you can’t make any sense of it. We bring all of your data together with open databases and interfaces to R to help you better understand how drought is influencing plant growth and transpiration rates. Expectations in plant phenotyping can be as versatile as the phenotypes observed. It is key when planning such high precision experiments to define the research questions and to test this concept before scaling it up into large- scale facilities. We support this approach by making our equipment available to prospective customers in order to understand the research question and to deliver meaningful data that will lead you to an answer. Benefit from our years of plant assessment experience. We build smart sensors to analyse crops in real-time and any environments for plant science, breeding and agriculture.